What is a MAC Masterclass? MAC Masterclasses offer the public the opportunity to learn more about make-up application, techniques and creating looks. 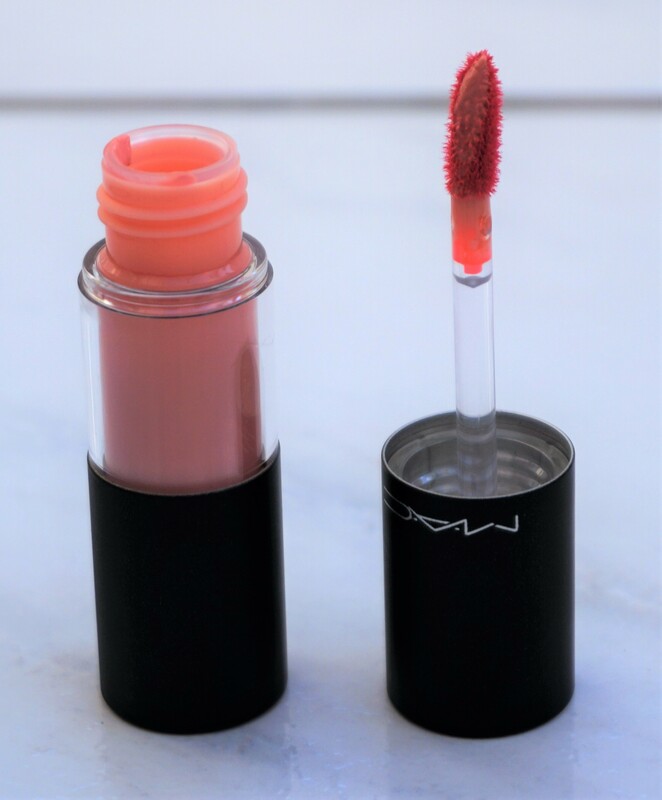 They are often structured around particular themes (such as Ageless Beauty, Valentines make-up, VIP Skin (I am attending this Masterclass in May) and sometimes tie in with collections that MAC are releasing. Sessions are delivered at group level, rather than one-to-one. The session I attended had around 20-30 people, so it was quite a nice size. If you want something more individualised in nature, MAC offers various make-up services where you can spend one-to-one time with one of their artists. You can book appointments online via the official MAC website (link here), over the phone or in store. MAC Masterclasses are advertised in store and some counters advertise on their local Instagram page as well. On Instagram, MAC local accounts are sometimes prefixed with ‘myartistcommunity’, followed by the store name. Places need to be booked in advance and normally have a cost, which is redeemable against any purchases during the event. The event I attended cost £20, which I was able to redeem against purchases that evening. I really like that tickets are redeemable, as it’s nice being able to attend a class and also get some new make-up. 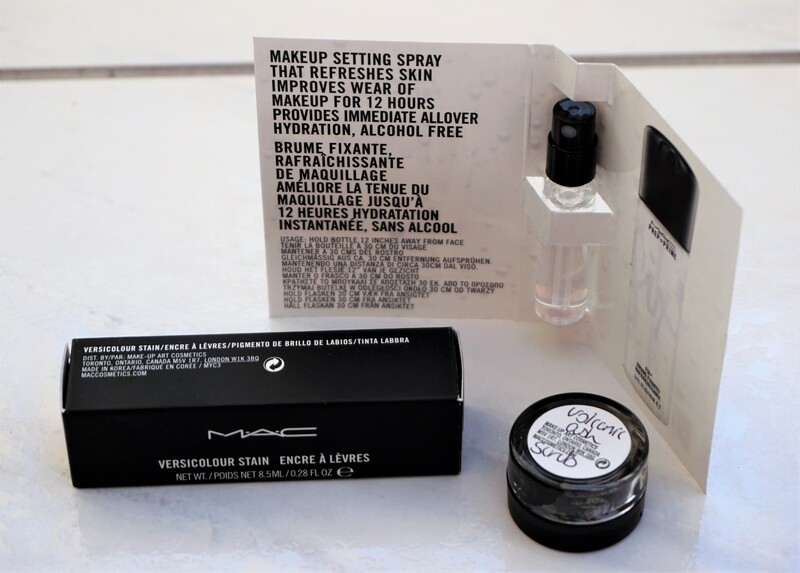 You can purchase any products you like, whether you choose to get products the artist has used during the session or you want something else from MAC’s collection (permanent or limited edition). There were also goodie bags at the event (more details below), which were a lovely unexpected surprise for me at the event. The event I attended ran from 7-9pm in the MAC counter area. The MAC counter near to me is huge, so they have a really good space for hosting events or parties on the shop floor. When I arrived, one of the MAC artists said that the make-up class would run from 7-8pm and there would be time from 8-9pm to browse the make-up, redeem my £20 against any products and ask any of the artists questions. You could also browse the make-up before the event started, though I arrived at 6:55pm so there wasn’t time to do that first. It was nice having the class and then having time to browse and ask questions. I wanted to ask about products from the class and get some guidance on foundation selection, so it was really nice having the opportunity to speak to someone afterwards. The small group size also meant that there were MAC artists readily on hand to help you. There were various goodies provided at the event, including two goodie bags, cupcakes and drinks. I was really impressed to receive goodie bags, as I wasn’t expecting to get anything else aside from redeeming my ticket against make-up purchases. The first goodie bag was from John MacIntyre and Sons, a Glasgow jeweller near the MAC counter in House of Fraser. I don’t have the original goodie bag which held the items, unfortunately, as I threw it away once I had taken out the items (before I had decided to write a series of posts). The goodie bag contained a full sized box for cleaning silver jewellery, a small box with a silver and pink ring, and a little box with chocolates. 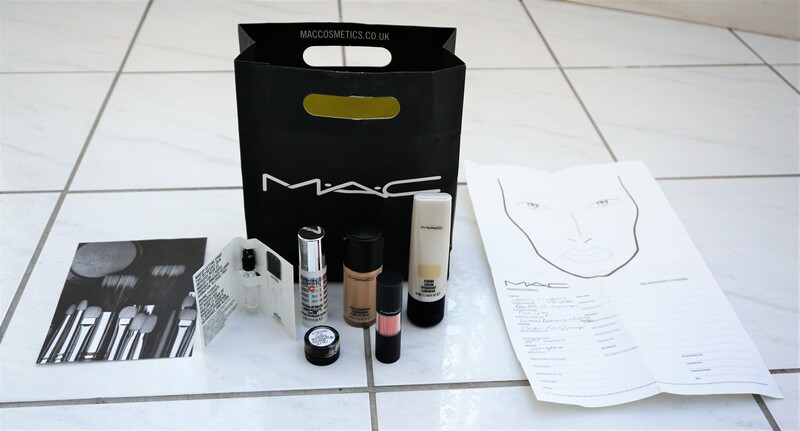 The other goodie bag was a MAC bag containing products and leaflets from MAC and other Estee Lauder companies. 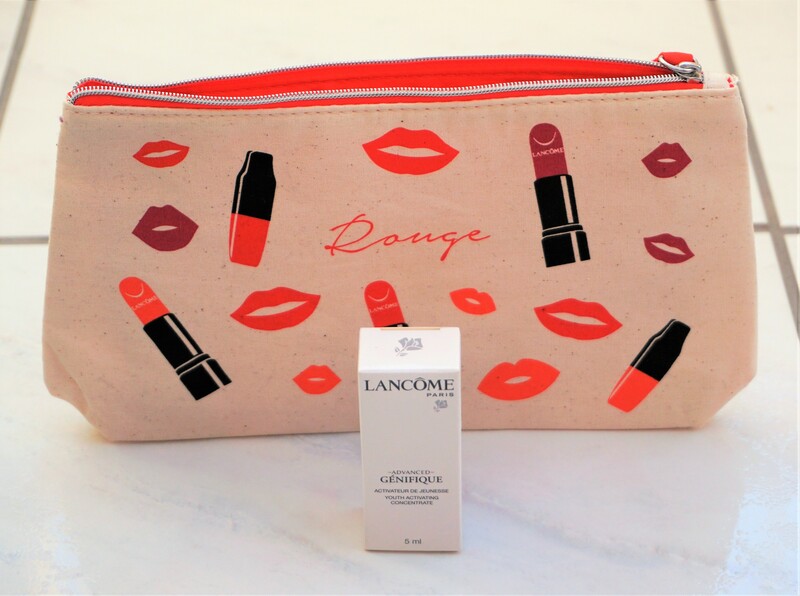 I was really impressed with the range of MAC products contained in the goodie bag, which included two small sample spray tubes of MAC Fix +, a small sample tub of MAC Volcanic Ash Exfoliator and a full sized Versicolour Lip Stain. The Versicolour Stains cost £21, so it was amazing to get a full size product like that as part of the event! The product in all bags was the shade ‘Energy Shot’. I think the shade of Energy Shot – a fairly pale peach-pink – was a good choice for the goodie bag. I think the colour may appeal to a wider audience, as a bright or deep colour could be more subjective. Energy Shot isn’t the type of shade I would normally choose for myself, as it is fairly light and sheer. However, I think it’s still a pretty shade and it’s fun to try something different that I wouldn’t usually wear. 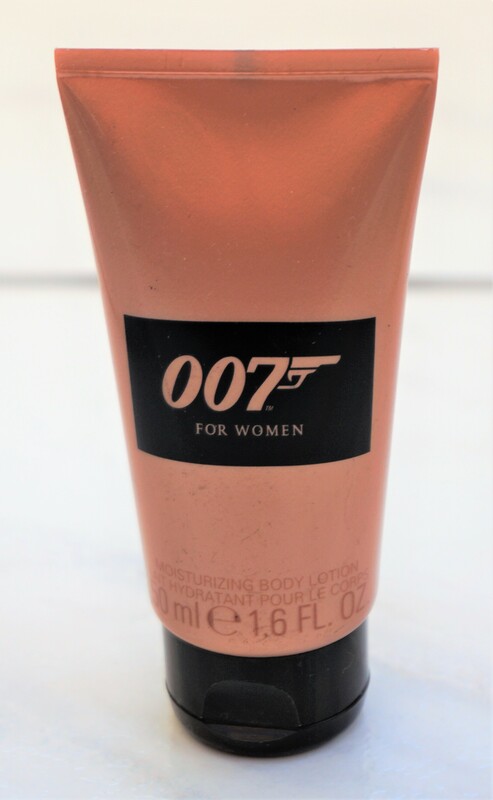 There were various other products from Estee Lauder companies, including a Lancome make-up bag, a small sample of Lancome Youth Concentrate, various perfume samples, a mini Bond Girl body lotion and various flyers. 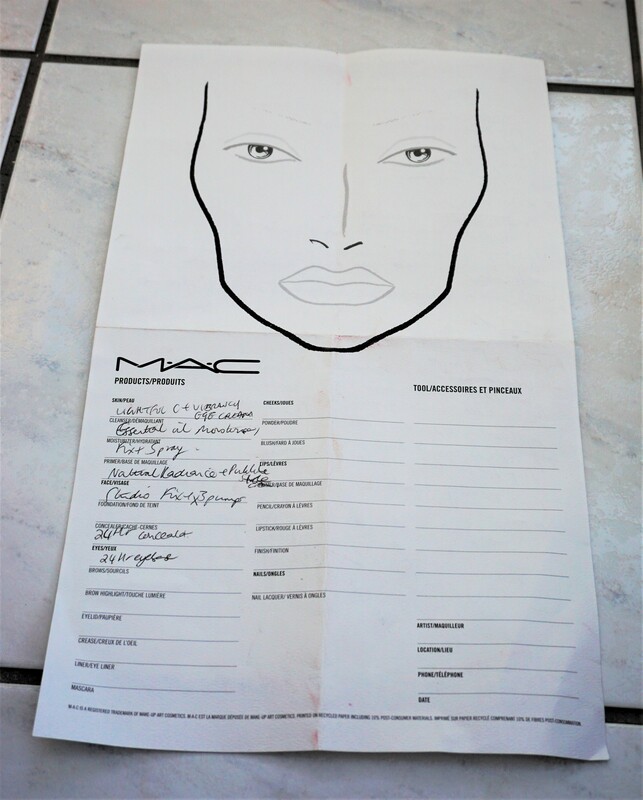 There was also a blank MAC face chart placed on every chair for participants to use. I liked the face chart, as there was space to draw on the face if you wanted to remember the look breakdown, as well as blank space on the back. I found the back of the face chart very helpful, as the blank side enabled me to write notes to remind myself of tips, techniques and details using the session. I took some initial notes on the front of the face chart but I found myself writing everything on the back of the page so all the details were together. The final item included in the goodie bag was a Brush Care Guide leaflet. 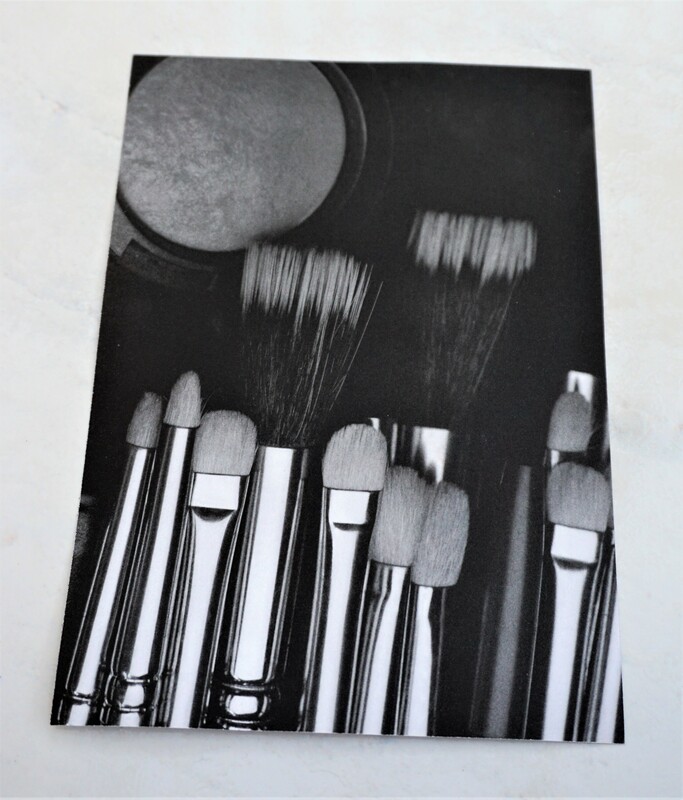 I have quite a good routine and process for cleaning my brushes but I think it’s still helpful to have a leaflet as a refresher. 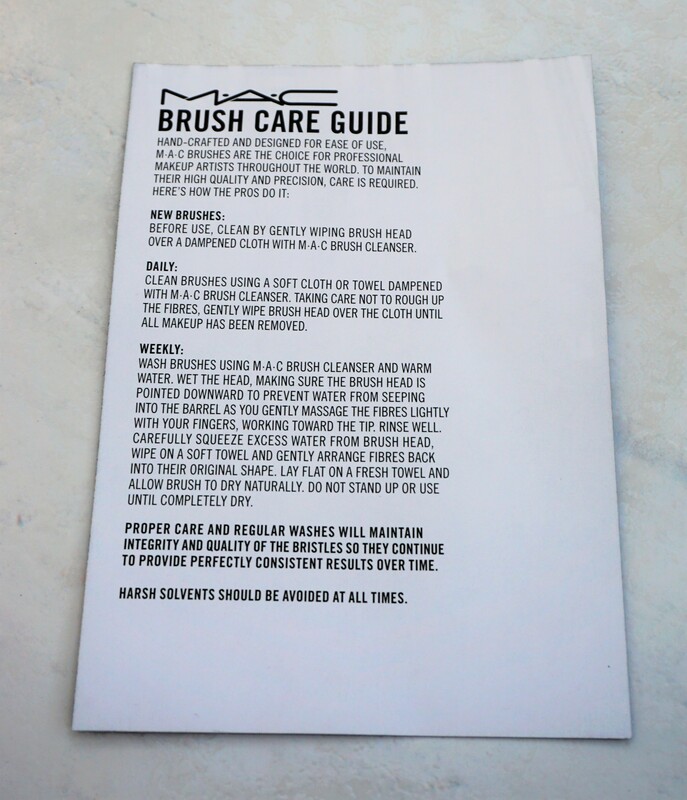 I have used the MAC Brush Cleanser (which is mentioned on the leaflet) in the past and thought it was great for spot cleaning and deep cleaning. However, I have been using baby shampoo to clean my brushes for several years now as it is so much cheaper and I think it does just as good a job. You can’t spot clean with the baby shampoo, though, so brush cleansers are helpful if you want that function as part of your brush cleaning routine. After the event, there was time to ask any of the MAC artists questions on a one-to-one basis and browse products. 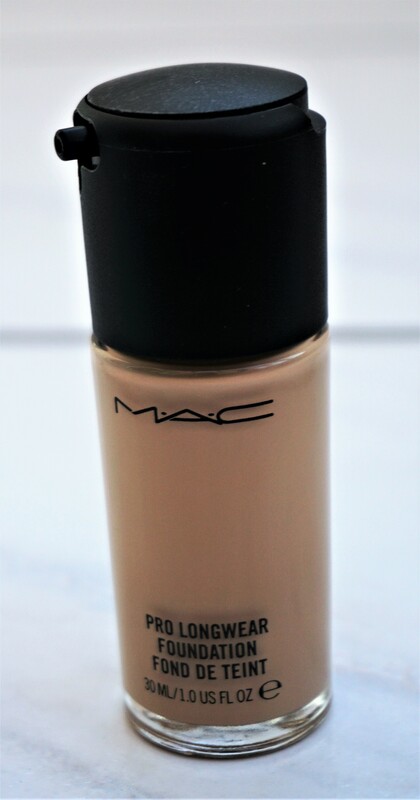 I wanted to get some help with choosing a suitable foundation for my skin type and needs. I also wanted to find out more about the Strobe Creams on offer (this product had been used during the session) and which one would suit my needs. The MAC artist I spoke to (Amy B) was incredibly helpful and helped me select products fitting what I was looking for. She really listened to what I wanted, assessed my skin and narrowed down what would work well on me. 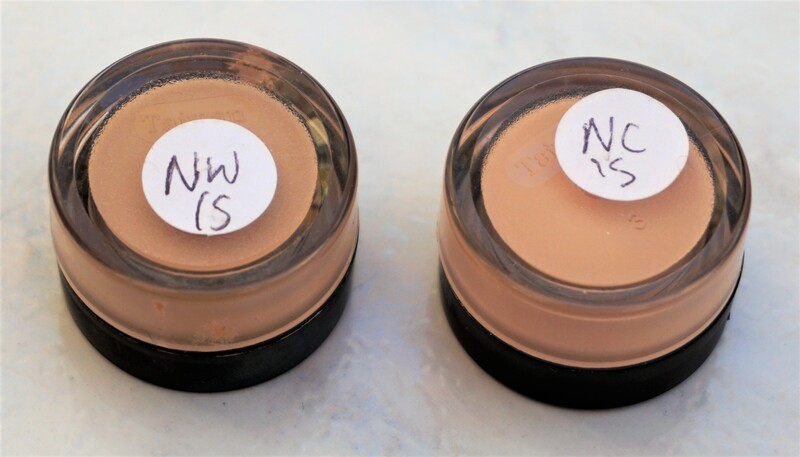 She selected the Pro Long Wear Foundation and tried both NW15 and NC15 on me to determine which was the best shade match (NW15 was the best match). I was able to get both shades as samples to try at home too, as I wasn’t totally sure in the store lighting which I preferred (she was right about NW15 being best). The sample pots are a good size; there is probably a week’s worth (if not more) of foundation in them. 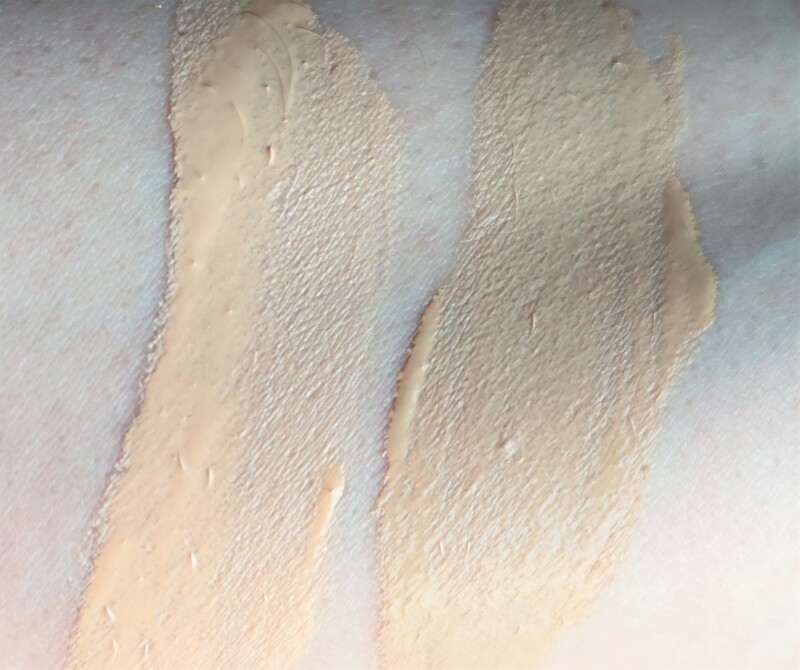 From trying out and swatching both samples (see below), I can see a difference between the shades. NC15 looks like it is lighter and much brighter, whilst NW15 has a little more depth and looks more yellow-based. It was really helpful trying out both samples at home, as whilst Amy B said NW15 was the best match, I couldn’t see it as readily in store. Trying the samples out meant I was able to see how they looked in my usual lighting (normally natural if it is light outside) and apply them with my usual brushes. MAC gives out samples of their foundations, so I’d highly recommend getting sample/samples to try if you want to try the shade(s) at home before purchasing. Following the event, I purchased a full size bottle of Pro Longwear Foundation in NW15 as Debenhams had a 10% off deal at the time. It’s nice to have the full size bottle for when my sample pot runs out. Amy B also gave me lots of information about Strobe Cream, in terms of the various ways it can be used, effects from the different shades and the one that might fit my needs best (Gold Lite). I redeemed my voucher against Strobe Cream in Gold Lite (£25, so I paid £5 extra). The product has a light moisturiser-like texture, which means you can easily smooth it all over your face or in particular sections. The product blends in beautifully and absorbs quickly, without leaving any tacky feeling or slipperiness to the skin. I have been using Strobe Cream as a base for my make-up and have found that it gives a very soft, beautiful glow to the skin. You can also use Strobe Cream underneath or on top of make-up in specific sections to highlight your cheekbones, cupid’s bow, browbones and anywhere else. I really love both products that I purchased and have been enjoying using them so much. Let me know if you would like to see more detailed posts on these two products! I enjoyed the event so much and am so glad that I chose to attend! I’ve never been sure how much I would learn from attending classes or receiving lessons, as I feel I am experienced in make-up application. However, I feel I learned a lot at the session, particularly in terms of application techniques and how to multi-task with products. I really liked that I was able to ask questions and get one-on-one time afterwards with an artist. It was also wonderful getting unexpected goodie bags! I will definitely attend other MAC Masterclasses in the future, as I feel there is so much I can learn from these sessions. I have booked to attend the VIP Skin Masterclass in Silverburn, as that one sounds interesting (the event has been advertised on Instagram on ‘myyartistcommunity_silverburn’ and in store). My experience has made me curious about the Masterclasses offered by other brands (Bare Minerals, Inglot and Kat Von D are some I have seen advertised), so I may consider attending these too. Part Two (coming soon!) focuses on the content covered in the Masterclass I attended, including the breakdown of looks created during the session. Have you attended a MAC Masterclass before? How did you find the experience? Or have you attended Masterclasses delivered by other brands? I would love to read about your experiences below.